In this sophisticated world it is always essential to link up all your accounts for easy access and moreover to reduce the loss of fraud cases. Linking up all your accounts will be very safe and also easy for you access from anywhere with ease. The below article will help you to know easy steps to link your pan card an Aadhar card number to your PF account in a easy way and with less pain. 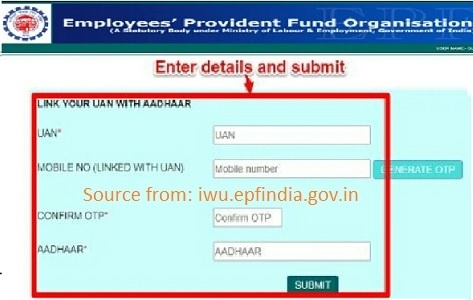 Click on the link as prescribed below, https://iwu.epfindia.gov.in/eKYC/LinkUanAadhaar.How+To+Update+Aadhaar+KYC+EPFO-UAN+Unified+Portal+Pen+Bank+Detail+Aadhaar. 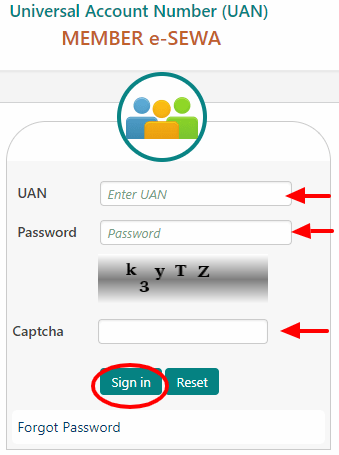 After clicking on the link, there opens a page where you need to fill in your UAN number and also enter your registered mobile number and click on generate OTP. You will receive an OTP to your registered mobile number and enter the correct OTP in the block provided and then the OTP is verified, later you will get an option to select your gender. This step involves Aadhar verification where you need to enter your Aadhar card number and then from the below you need to choose one option from the two given options. The two given options include “Using Mobile/Email based OTP or Using Biometric”. From the above mentioned two options click on mobile/Email based verification and then you get an OTP and then enter the OTP and your verification for Aadhar is done. 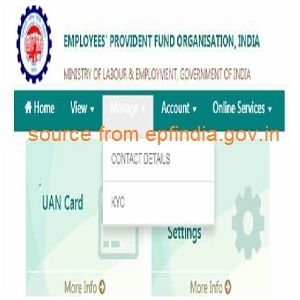 The first step in Linking your PAN card to PF account is that you need to login into the EPF members portal at https://unifiedportal-mem.epfindia.gov.in/memberinterface/, by using your user id and password. Once you enter with your user id and password, there opens a new dialogue box where in select MANAGE and from that dropdown menu of manage select KYC option. After selecting the KYC option, select the PAN option and enter all your PAN Card details. You need to fill in all the KYC details like Aadhar card number, bank account details, address and other information in this step itself. Click save option, once you are done with save option then your documents are submitted and then go for verification. 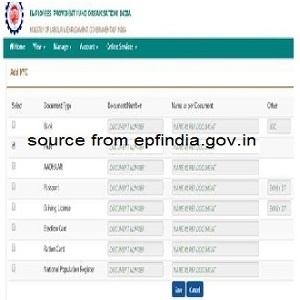 After the verification of your details, your pan will be verified through NSDL and then when your pan is successfully verified, you will find VERIFIED written against to your pan details in your EPF details and that your pan card is linked to your PF account successfully. Your pan is one of the important documents that needs to be linked with your PF account and help you in future regarding any issues in PF account. Hope the article is very useful and informative for you.